Healthy, easy vegan Quinoa Nourish Bowl with a killer avocado dressing! I had a realization last week that this is turning into less of a blog and more into a weekly “What Really Grinds My Gears” segment (Family Guy fans – I hope you get the reference) wherein I complain about whatever’s bothering me that week. And I see both sides of this – on one hand, every single person on the planet has problems that affect their lives, and it’s perfectly natural to air those grievances. On the other hand, if I want my life to be filled with positivity and happiness, I have to contribute to that objective. If I’m constantly complaining and moaning about my issues, what else could I expect other than an a pervading attitude of negativity in my life? This realization came to me via a human named Jessie, who commented on the post where I complained about people asking me where, as a vegan, I get my protein. She wrote, “As for your words on veganism – as with everything, a sprinkle of grace and patience goes a long way”. Exactly what I had been lacking. Whether you believe in God, fate, karma, Newton’s Third Law, what have you – it is undeniable that sometimes the universe contrives to give you a wake up call when you most need it. Although Jessie’s comment was just about my post, I started to think about where I needed grace in other parts of my life. As a Christian, the word “grace” has a definition that extends beyond my own actions. But for the parts of my life that are within my control, acting with grace means acting with kindness, humility, and goodwill. It encompasses all of those things. And while I’m not saying that I’ll never say a negative thing on this blog ever again, I am setting an intention to contribute to an attitude of positivity, to an atmosphere of kindness, and to find the grace that resides within me. Those were my words for the soul – now here is some food for the soul. 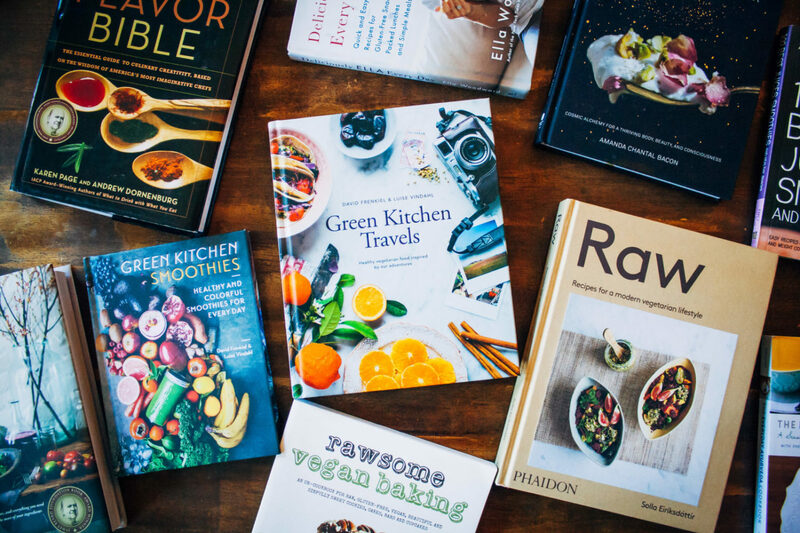 I love the concept of a nourish bowl – something that not only feeds your stomach but nourishes your body. 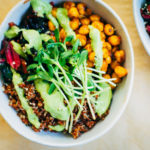 This particular bowl is filled with filling plant-based protein, healthy fiber, vitamins and nutrients, and an amazingly delicious avocado dressing that will knock your socks off. But actually. This dressing is soooo good. Just writing about it is making me seriously crave some tangy, savory, avocado-y goodness. I hope you all love it as much as I do!! 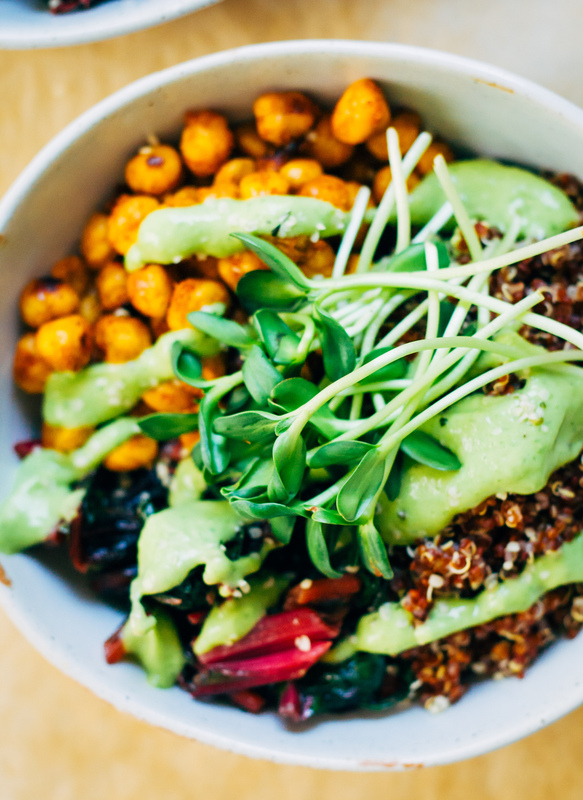 This crowd-pleasing quinoa nourish bowl is packed with plant-based protein and topped with an amazing avocado dressing that ties it all together! Combine 1 cup quinoa to 2 cups water in a saucepan, and bring to a boil. Once water is boiling, bring to a simmer until quinoa is cooked, about 15 minutes. 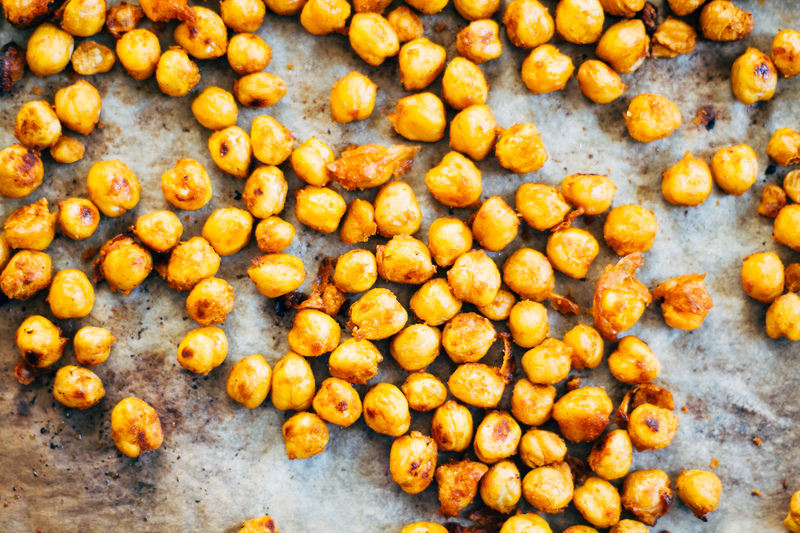 In a bowl or plastic bag, combine chickpeas, spices, and oil. Mix until chickpeas are all evenly coated. On a baking tray, assemble chickpeas as flatly as possible (i.e. chickpeas should not be on top of each other). Bake in the oven for 20-25 minutes, or until slightly browned. In a high-speed blender, combine all dressing ingredients and blend until smooth and creamy. Bring a sauté pan to medium hit on the stovetop. Sauté chopped swiss chard and minced garlic for about 5-10 minutes, or until swiss chard is wilted and garlic is slightly browned. In a bowl, assemble quinoa as a base. On top, layer chickpeas and swiss chard. Drizzle generously with green goddess dressing, and garnish with sprouts and hemp seeds. The reason we have become vegan is being around our animals, knowing they have feelings; they love, have friends and family… how can you eat them? We look into the eyes of Juliet and Cleopatra, or Emma and the rest of the family, and you start to put their faces on the meat. The number of people who no longer eat pork after meeting Emma at the Hollywood farmers market is unbelievable. They no longer think of pork as something in a grocery store; it has a face and once had a life. We also can’t stand how animals are raised now. Factory farms have to end. The only way is to stop putting money in their pockets. Dairy is no better. Even now, when we go to other dairies and see the goats wanting attention and getting none, just hit with sticks to get in to be milked, it tears my heart out. We have always treated our animals with love and gentleness. Anybody who visits the farm can see that. But being a dairy farm at all is still adding to the problem. We don’t want to be part of the problem, we want to be part of the solution. Lol! I totally get the family guy recipe – my brother/dad go around quoting all the time. I’m so glad I stumbled upon your blog this morning! I LOVE “nourish” bowls and that avo dressing looks like perfection. got to love the protein question…it just drives me mad! This bowl is a thing of beauty, and the green goddess dressing sounds heavenly! Beautiful sentiment regarding grace. Thank you for sharing what Jessie shared with you. I am most grateful in my life for the people who, with the simplest of words or perhaps a question, can return me to myself. Hey Sarah, I love your site and this post is so true, we must go through life with as much grace as possible and have understanding and patience for others, as we are all human and so struggling with various things, no matter how trying, we only hurt ourselves and others by getting stressed, but I know it is so difficult sometimes (often)! Thanks for sharing! I love the recipe, I must be more adventurous with chickpeas! Thank you so much Susannah! I’m really glad you appreciated my post; it’s a constant process for me to improve and constantly become more patient, but I’m trying every day! :) And yes go nuts with chickpeas!! They’re so versatile and forgiving, it’s hard to mess them up! Oh I love this post. We all at times need to vent and reflect and let go. We totally get it! We are all human, but I do think it’s great that you discuss your thoughts. We can all appreciate that. I know what you mean about feeling like you’re constantly complaining. I am the WORST ad talking negatively instead of focussing on the positives in my life. 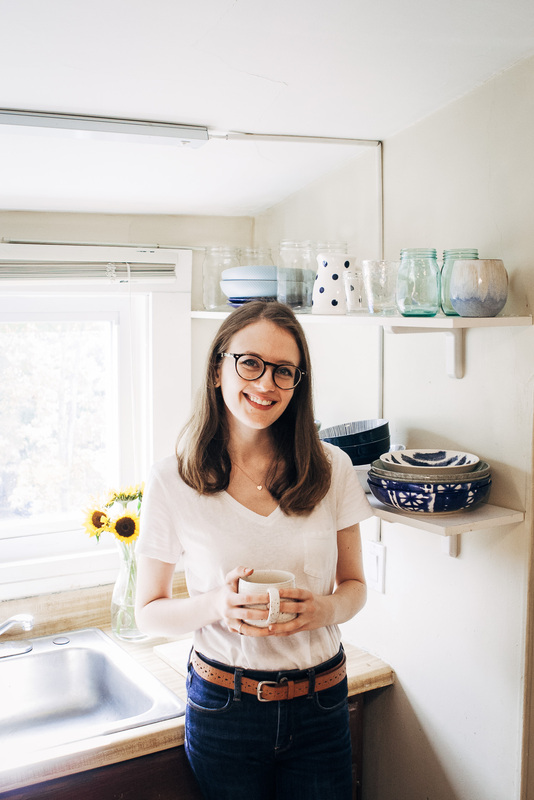 My partner tells me ALL THE TIME – ‘focus on what you have Sus, and not what you don’t’ – I love your blog Sarah and it brings positivity into my life through you beautiful recipes and photos. ALL HAIL POSITIVITY (and grace) x PS THIS BOWL IS BANGING! I’m all for positivity, and food for the soul! This looks both beautiful and delicious Sarah. This dish is calling my name :) Now I’m totally making some roasted chickpeas tomorrow, and that green goddess dressing sounds AMAZING. This must be just the perfect salad! I am just about to prepare a dinner salad and was wondering what dressing to make. And now I know. THIS ONE! Thanks for the inspiration!